Legos are unquestionably one of the greatest, most imaginative toys ever invented. Sure, the increasingly intricate pre-packaged sets are cool (I guess). But, the real magic emerges from the inevitable rubble of mixed-up pieces. There’s nothing quite like seeing a kid rummage through a random collection of lego bricks for hours on end to assemble a unique creation straight from their own imagination. That basic magic hasn’t changed since my brother and I were assembling our own creations back in the 60s and 70s. One thing that has definitely changed though: the way kids share their creations with others. It used to be that your audience was confined to a handful of admiring parents and siblings. Easy access to the Internet and social media technologies have completely changed that game. Now kids routinely share their creations with thousands of other kids across the globe. It’s truly inspiring to watch kids proudly post their unique creations and riff on each other’s designs — one big global, collaborative, iterative refinement process. For example, a couple of weeks ago, our 8 year old stumbled upon some Lego designs for little mock soda vending machines on Youtube. Since then, he’s been busily cranking out his own variations on the little machines. This weekend, he asked me if I could help him post his favorite design modification for the world to see. You bet! We had a grand time. The perfect father-son project! No doubt, the world would be a much better place if every kid had the opportunity to play with Legos! by Bill Dwight on Wednesday, January 19, 2011 at 12:27 PM | LEAVE A COMMENT! I was reading a post recently by a father of a 9 year old. 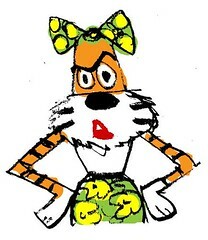 As the kid was angling for a trip to the Five Below store to blow his monthly allowance, the dad was wondering aloud whether there was a correlation between sales spikes in discount stores and allowance pay days for kids. This got me wondering too. When do most parents dole out allowance? 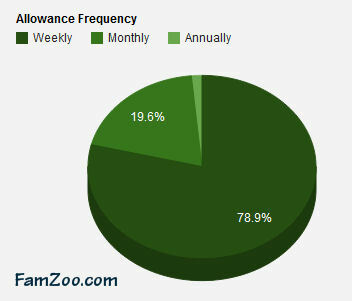 Almost 80% of FamZoo allowances are delivered weekly while around 20% are delivered monthly. Just over 1% are annual (typical of, say, a clothing allowance). The most popular day to deliver allowance is Sunday. After that, it’s pretty evenly distributed with Monday, Friday, and Saturday getting the slight edge over Tuesday, Wednesday, and Thursday. 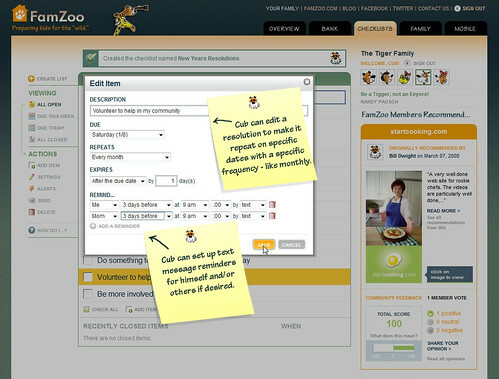 1To protect privacy, we only disclose anonymous aggregate statistics from the FamZoo database. 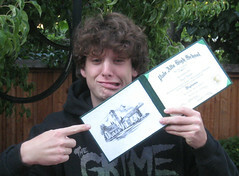 by Bill Dwight on Thursday, January 06, 2011 at 3:38 PM | LEAVE A COMMENT! 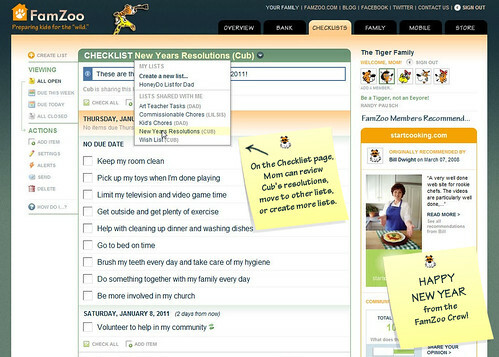 OC Mom, Shelby Barone, recommends that parents start the new year by making resolutions with their kids. I like Shelby’s approach, and it’s something we’ve done with our kids over the years. 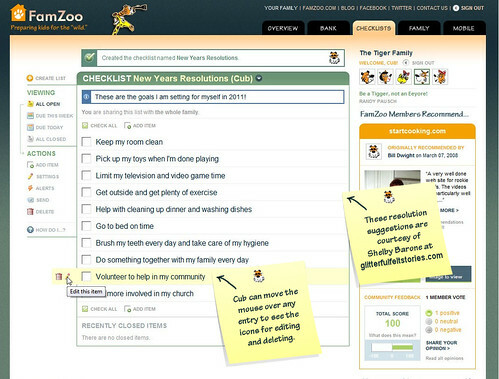 After discussing resolutions as a family, Shelby recommends writing them down in a special place. In our case, that “special place” has been (surprise!) FamZoo. 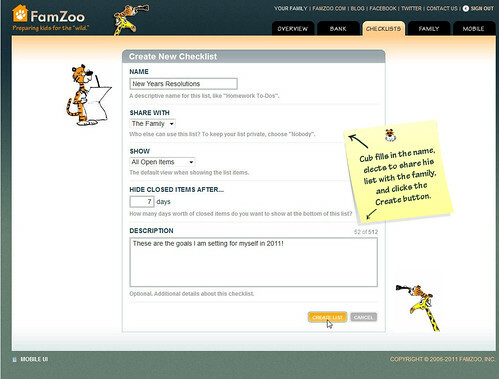 We use FamZoo’s shared family Checklists. 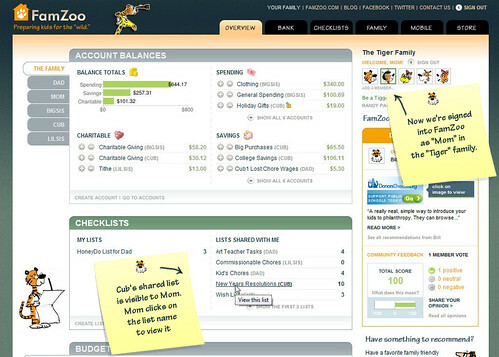 Here’s the quick How and Why: Each family member makes their own list and shares it with the rest of the family. 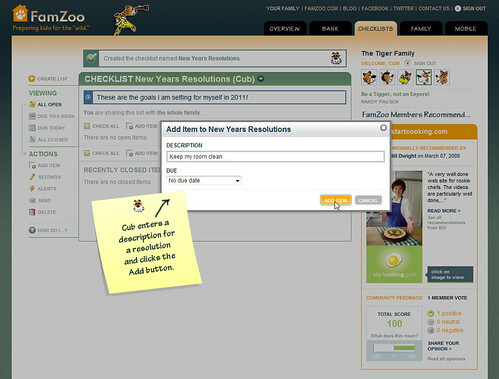 For a given resolution, you can set a specific due date (or a repeating due date like every month). 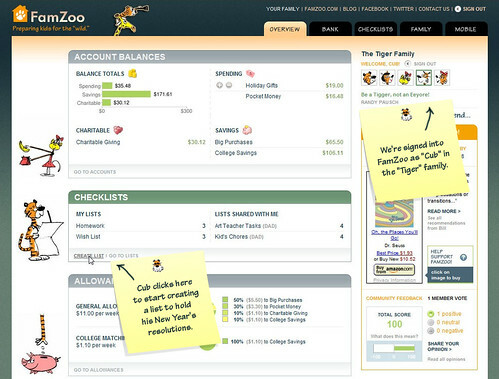 Or, you can just enter descriptions and leave due dates off — whatever makes the most sense and feels most comfortable. You can even set up text message reminders if you need a nudge. This all helps with Shelby’s recommendation to be sure you follow-up on resolutions. Sign in and click the Create List link. Fill in the list name, sharing setting, etc. Click the Add Item link to start adding resolutions. Enter the description for each resolution. Keep clicking the Add Item link to add more resolutions. Move your mouse over a resolution to edit or delete it. Set specific dates and reminders if desired. 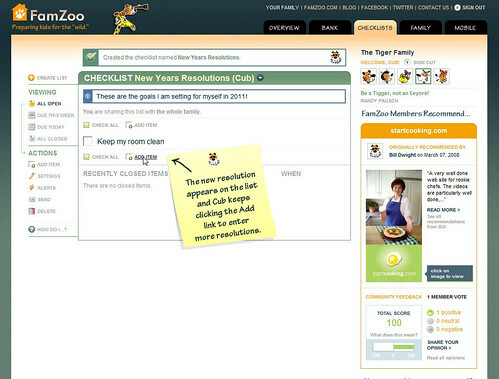 Check out any resolution lists that are shared with you. 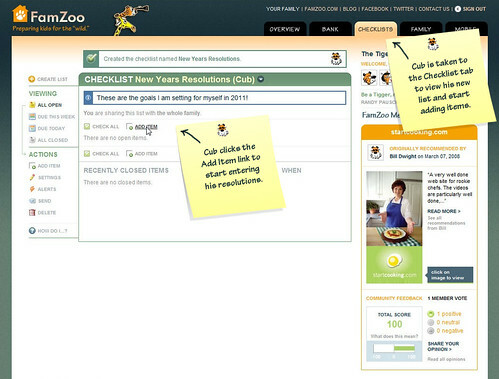 Review the current list, move to another list, or create a new list on the Checklist tab.